If you have curly fine hair like I do or if you just want a little shine and added protection to your hair you probably use some spray in conditioner after you wash your hair. I used to buy it until I figured out an easy homemade recipe that is super cheap to make! I don’t really measure it out since it depends on the size of the bottle but I fill the bottle up about an inch with conditioner and then fill the bottle half way up with the aloe vera juice. I fill the rest up with water and then shake it up. It’s that easy! Use after you get out of the bath or shower and before you style your hair. 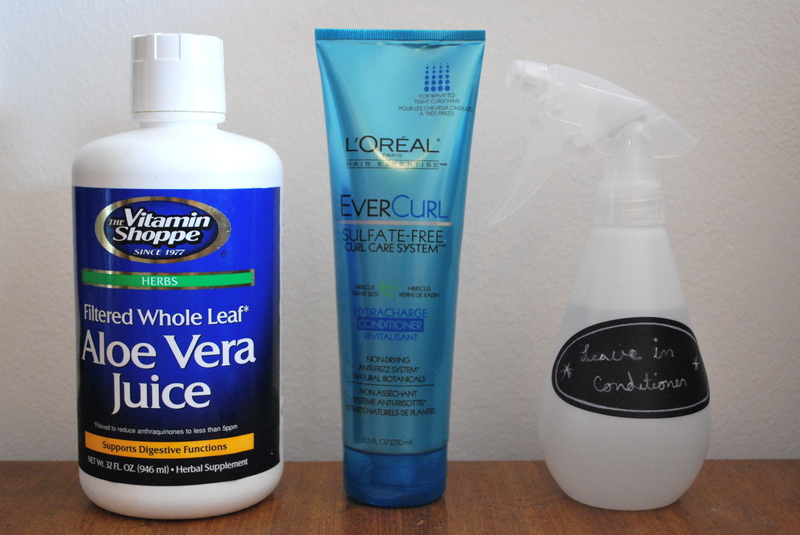 I like to use a generous amount on my hair, and I can with this cheap easy recipe!